In this rare image taken on July 19, 2013, the wide-angle camera on NASA’s Cassini spacecraft has captured Saturn’s rings and our planet Earth and its moon in the same frame. 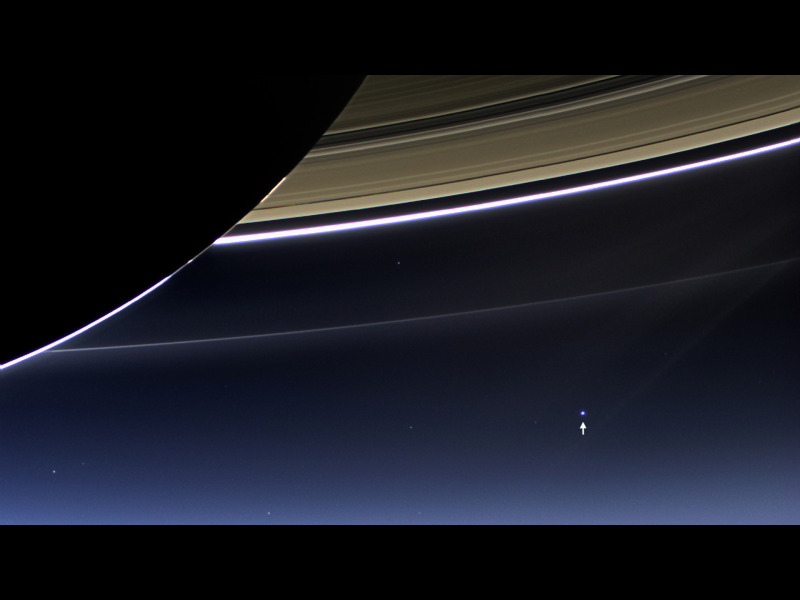 This gorgeous photograph of our planet Earth, was taken by NASA’s Cassini spacecraft, which is orbiting the planet Saturn almost 900 million miles away. Puts everything in perspective right? If I’m ever hard up for writing ideas, for thinking about the stories that need to be written, I think I will stare at this photograph for awhile. This entry was posted in Updates and tagged cassini, earth, exploration, inspiration, nasa, pale blue dot, sagan, saturn, space by Nalin. Bookmark the permalink.